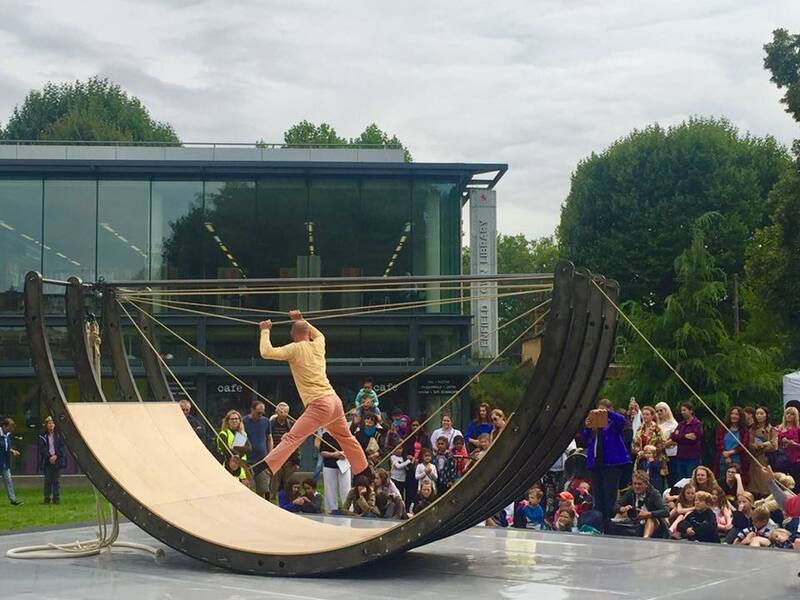 Circulate Resident Artists, Ockham’s Razor presented their exciting first show made specifically for outdoors, Belly of the Whale in 2018. 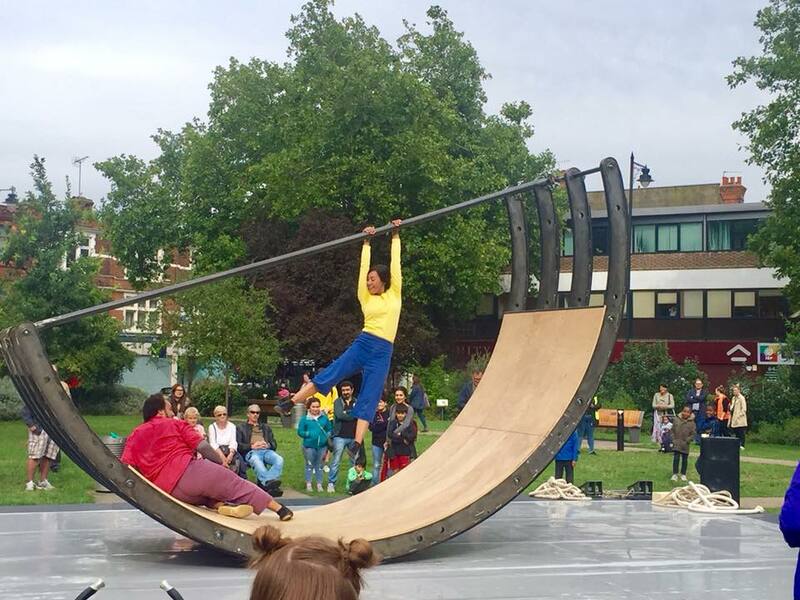 The performers rode a giant semi-circular see-saw made of wood and steel, which creaked and groaned as it transformed from a catapult, into a gently rocking cradle, a tunnel, and a slide, creating an ever-changing land and soundscape. Amazing circus skills and incredible live music wowed our audiences. The concept of Belly of the Whale is found in mythology around the world- what happens when we confront our fears and come face to face with the power and momentum of things we seemingly can’t change? 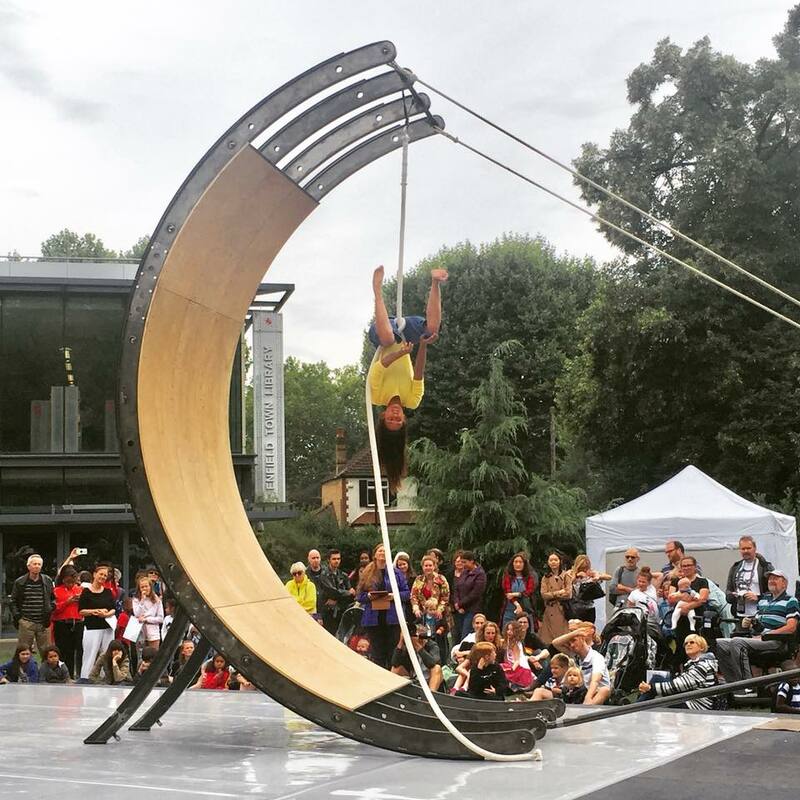 Ockham’s Razor are supported by Arts Council England. Belly of the Whale is commissioned by Without Walls, Stockton International Riverside Festival, Greenwich + Docklands International Festival, Out There International Festival of Circus and Street Arts, Norfolk and Norwich Festival, Salisbury International Arts Festival, Circulate London, and Stratford Circus Arts Centre.